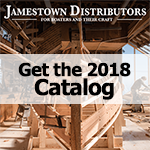 This array of marine dock hardware offers everything you need, except lumber, to construct and maintain a dock that will last for many years. Most hardware is commercial, heavy duty grade. These are mostly used for the ends of fingers, docks, great for ski jump corners and swim floats. They secure outer points of the dock frame and add structural strength to the dock. Inside corner hardware should be used in conjunction with outside corners. Elongated holes make fitting easier. They mount on the inside and connect the wooden beams at 90 degree angles. Pipe holder hardware bolts to the dock frame. Pipe attaches to the dock, and serves as the guide for galvanized posts fixed to the seabed or pond bottom. The pipe holder helps dock to move with changing water levels. Dock connector hardware bolts to the side of the dock, used primarily for attaching fingers and ramps. Tabs are welded on. The connector hardware also allows you to add additional dock sections. A pivot pin setup creates a hinged sectional dock which handle waves or turbulent water conditions far better than a rigid dock. Angle hardware is available in standard and heavy duty grade. Galvanized angle pieces are used for all cross supports. Is designed for use with 1-1/2 in. thick lumber (minimum width 6 in.). All hardware is mounted with 3/8 in. carriage bolts. All male and female dock to dock connections are made with either 3/4 in. bolts with lock nuts or 3/4 in. connecting pins. Tie Downs' Wood Dock Plan Kit will show you the basics on building a lightweight and long lasting floating dock system. Any floating dock requires sufficient positive buoyancy when burdened with extra weight of people and cargo. This is achieved through dock floats fixed underneath the decking. Most dock floats available commercially are made from a closed cell type foam encapsulated by a rigid plastic shell. The shell is easily power-washed when dock is removed for winter in temperate climates. The shell also protects the foam from chemicals, salt water and impact. Be sure to err on the positive side if adding structure such as storage sheds on any dock. Dock bumpers are the finishing touch on any dock building project. They provide necessary cushion to shield boats from serious paint and gelcoat damage. Most bumpers are non-marring design, and superior to makeshift bumper solutions like fire hose or old tires.. Typically, dock bumpers are offered in vinyl, PVC, solid rubber or heavy gauge polyester fabric with closed cell foam cushioning. Unlike fenders, the bumpers mount permanently on pilings, vertical dock faces and corners. Most designs mount with screws into the dock.